If your idea of “premium economy” air service is the few extra inches of legroom you get in Delta’s Economy Comfort or United’s Economy Plus seats, you’ll be blown away by true premium economy. Of course, improvements that big usually come with a downside: In this case, it’s the price (tickets cost from one-and-a-half to almost three times the price of regular economy tickets). However, the extra room, plus extra baggage and preferred boarding, can more than make up for it. Among the airlines you’re likely to fly—none of them based in North America—15 provide true premium economy on at least some of their long-haul planes. Here’s our assessment, with fare comparisons for midweek travel in mid-March 2013. The current premium-economy standard, common to many lines, is a separate cabin with a seat pitch of 38 inches (compared with a maximum of 36 inches in semi-premium and the usual 31 to 32 inches in regular economy), as well as seats that are at least two inches wider than in regular economy. Seat width measurements on airline websites and on third-party sites such as SeatGuru.com are based on seat-cushion width, which really understates the true amount of extra space. True premium economy also provides wider armrests or sometimes a small table between seats, so shoulder space winds up being greater than cushion width. Accordingly, we base our width assessment on a comparison to standard spacing: seven seats across on A330s, A340s, and the upper deck of A380s; five across on the upper deck of 747s; and eight across on the lower deck of 747s and on 777s. The best is the Spaceseat on Air New Zealand 777-300s. 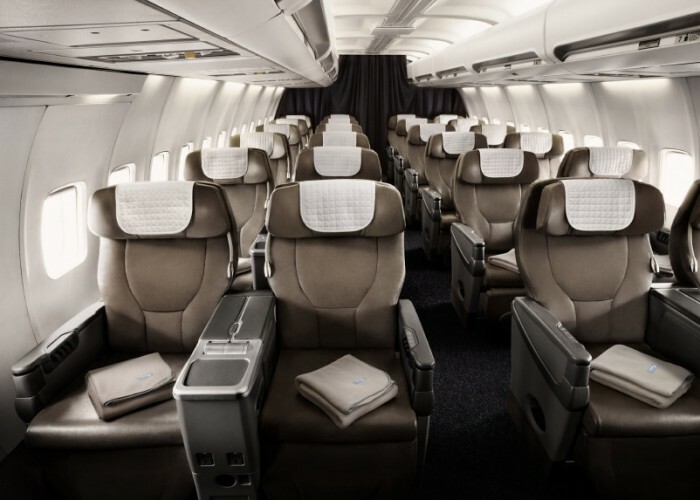 The Spaceseats in this true premium-economy cabin are laid out in a unique, staggered, herringbone pattern, where every seat has access to the aisle and plenty of legroom. (Therefore, conventional measurements don't work.) 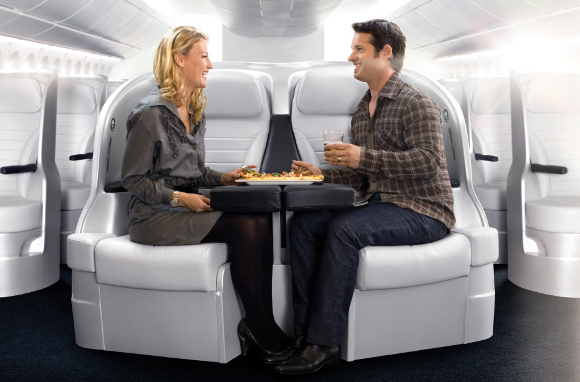 Spaceseat cabin service includes upgraded meal and beverage service and preferred boarding. But the first-place rating applies only to Air New Zealand 777-300s. The option on the airline's 777-200s is really just a superior quality of semi-premium economy, and the option on 747-400s is somewhere between the two. 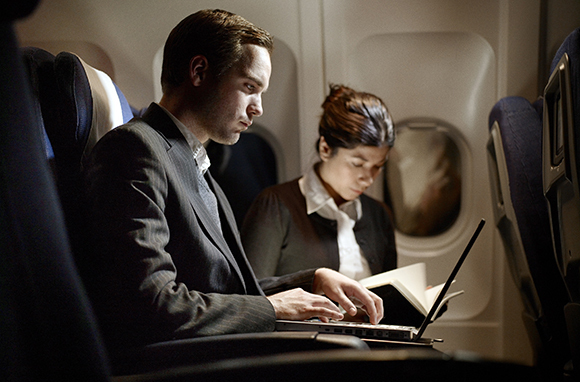 The Spaceseat option is also one of the most expensive true premium services. A round-trip fare from Los Angeles to Auckland is $3,246, compared with $1,333 in regular economy. Even less appealing is semi-premium from San Francisco to Auckland, where the fare is an outrageous $3,100 for a much less attractive 777-200 service. The close runner-up is Prem Plus on OpenSkies 757s. Originally hyped as the Biz Seat, a low-cost business-class option, the rebranded Prem Plus cabin provides four-across seating in 757s at an extremely generous 52 inches, plus close-to-business-class cabin service. Pricing is competitive, with lesser transatlantic premium-economy services at $1,593 round-trip, compared with regular economy at $938. The main downside is that OpenSkies' only routes are from the New York area to Paris Orly. OpenSkies is a subsidiary of British Airways, which took over the former premium-only French line, L'Avion. Although both L'Avion and the similar Silverjet failed, OpenSkies seems to be succeeding: It recently added flights from New York City's JFK Airport to Paris Orly to supplement the former Newark-only schedule. 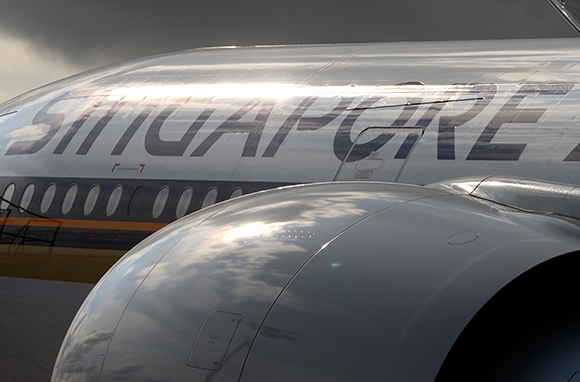 It's also getting closer to British Airways, with membership in its parent company's frequent-flyer program. Third—and also very good—is premium economy on Air France A380s. For some reason, Air France seems to have abandoned the former "Premium Voyageur" branding in favor of a generic "premium economy" term. However branded, it's an outstanding product on the super-jumbo A380, with a seat pitch of 49 inches and lots of shoulder space. Also, it comes with superior meal and beverage service, along with priority boarding and deplaning. The price difference from regular economy is less than on most lines: For example, round-trip from New York City to Paris costs $1,453, compared with $1,021 in regular economy. Air France's high ranking applies only to its A380s. Premium economy on the line's A330s, A340s, and 777s is standard, but it's not available at all on the older 747s, which Air France will be phasing out of the fleet. Even the more conventional product, however, is a good one. Fourth—and also very good—is Comfort Class on Turkish Airlines 777s. Seat pitch is generous at 46 inches—it even beats business class on some lines—and comes with upgraded cabin service. 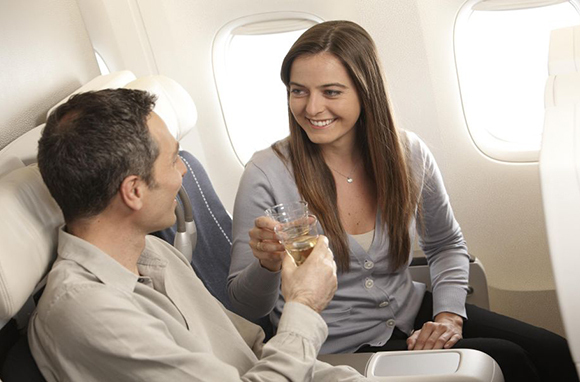 Turkish is well regarded in all classes: Skytrax rated it Europe's best line in 2011. Other Turkish Airlines planes do not have premium economy. The price is par for the course: A sample round-trip fare between Los Angeles and Istanbul is $1,598, compared with a promotional fare in regular economy of $998. 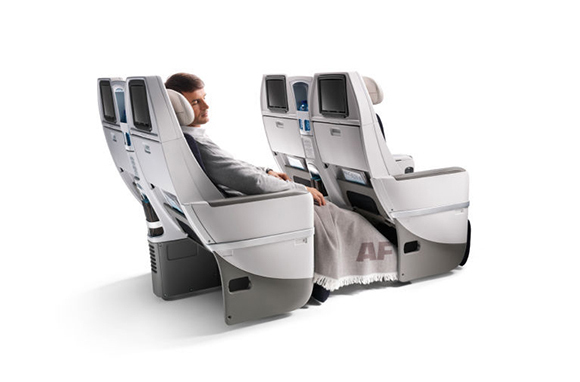 Ten important lines (plus Air France's non-380 flights) provide what is essentially a standard approach to premium economy: A seat pitch of 37–39 inches—at least two inches wider than normal economy—plus, in most cases, improved meal and beverage service and other preferred services. 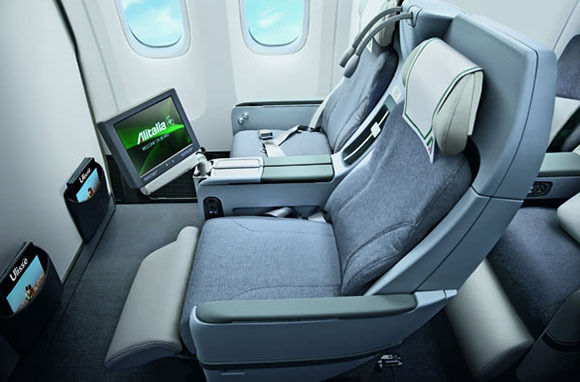 These airlines include Classica Plus on Alitalia A330s, 767s, and 777s, premium economy on ANA 777s, World Traveller Plus on most British Airways transatlantic planes, premium economy on Cathay Pacific 777s and A330-300s, evergreen Deluxe on EVA Air 747s and 777s (EVA was the first line to feature premium economy and it continues to offer an excellent version), premium economy on Japan Airlines 777s, premium economy on Qantas A380s and 747s, economy Extra on SAS A330s and A340s, premium economy on all Virgin Atlantic transatlantic planes, and premium economy on Virgin Australia 777s. Trailing badly is Economy Comfort on Icelandair 757s. Although it's hyped and priced as a premium-economy option, it's really ordinary six-across economy with the middle seat blocked and one inch of extra legroom. 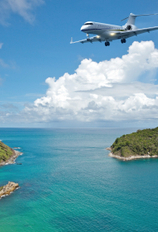 Note that all fares—economy and premium economy—are subject to wide variations by seasonality, demand, and markets. However, a general pattern seems to be that the extra cost of premium economy is less across the Atlantic than across the Pacific, although Japan is a lot more expensive than nearby Taiwan and Hong Kong. But if you're interested, always check for the specific routes and dates of interest. 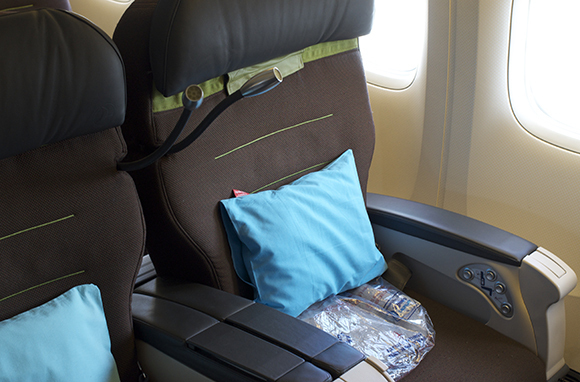 Several important lines are ignoring premium economy, at least for now. Among them are Emirates, Etihad Airways, and Lufthansa. Singapore Airlines and Thai Airways International previously operated extra-long-range nonstops in A340-500s from the U.S. to their home bases with premium-economy seating, but Singapore Airlines decided to trade in its 340s on a new order for more fuel-efficient planes, and Thai no longer flies its 340-500s across the Pacific; neither line has premium economy on their other planes. These airlines all compete with lines that do offer premium economy; some even codeshare with lines offering premium economy. So you'd expect them to match. We'll be watching. In another strange twist, no airline ordering the latest Boeing 787 has installed premium economy—even those lines, including ANA and Japan Airlines, that offer premium economy on other long-range planes. That, too, is strange, because the 787 is designed to offer long-haul flights on routes too thin to support larger planes. 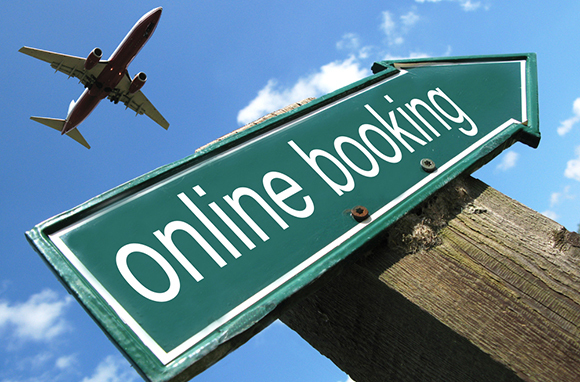 Despite its growing popularity, not all the big online travel agencies list premium-economy fares. 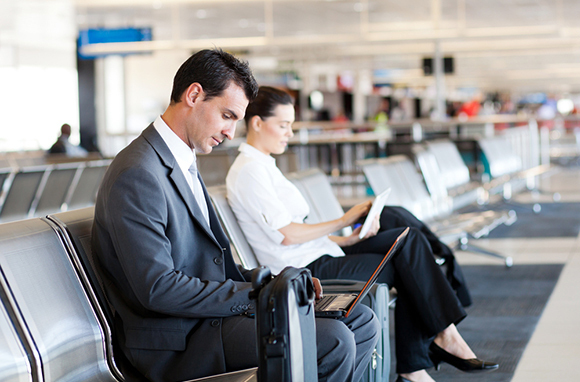 Expedia, Kayak, and TripAdvisor do offer premium-economy searches; Hotwire, Orbitz, and Priceline do not. Of course, the airlines would rather have you buy from their own websites. With prices ranging from 50 to 200 percent more than regular economy, the true premium-economy option can be a very expensive indulgence for a couple on vacation. 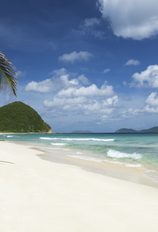 And the higher rates especially can be a very poor value proposition for leisure travelers. Apparently, the real target markets are business travelers whose companies do not allow them to buy business-class tickets.